Dental implants are a proven solution for individuals who are in great oral and systemic health who have lost one or more teeth due to periodontal disease, injury or trauma, or other reasons. Our team of cosmetic dentists at Rockefeller Cosmetic Dentistry located in Manhattan are very experienced with dental implants. We have the newest dental implant technology that anyone can be offered in the Long Island, Queens, or New York area. For some, partial bridges or dentures are not the most suitable or comfortable solution in terms of replacing missing teeth. 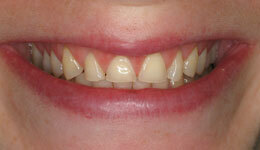 Dental implants are an effective long-term solution for those suffering with missing teeth. They are a more modern replacement solution compared to bridges or dentures. Dental implants are metal or Zirconia (ceramic) implants that are surgically inserted into the jaw bone beneath the gum surface to replace any missing teeth. Once the implant(s) is inserted and healed, an artificial replacement tooth is mounted onto them. They are designed to, eventually with time, fully integrate with the jaw bone. This provides long-term, stable support for the new artificial tooth. A dental implantation starts with a screw-shaped or cylindrical root-form titanium or zirconia implant that acts as an artificial tooth root. 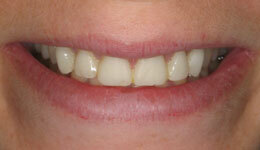 The implant is carefully placed in the jawbone and is given time to heal. During the healing phase, your bone is growing in order to lock the implant in place. Since the implant is infused into the jawbone, it provides stable support for the artificial replacement tooth. 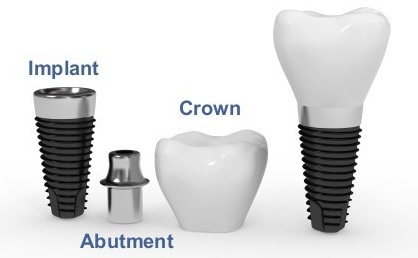 An abutment post is then inserted into the anchor and a carefully crafted crown made out of ceramic or Zirconia is made to fit on top of the implant. The crown functions as your “new” tooth in as little as 6 weeks! In order to have dental implants surgically placed, there are a few requirements that need to be met. To insert the implant, the patient must have healthy gums and sufficient jaw bone density to secure and stabilize the post in place. Bone grafting may be needed if there is not adequate bone to support the implant. A sinus lift may also be required if there is not enough bone height in the upper jaw or if the sinuses are too close to the jaw. For long-term success of dental implants, it is essential to practice careful oral hygiene and visit the dentist regularly to ensure the implant is healing properly and is not failing. In some instances, there may be too much bone loss in specific areas for one dental implant which would then require bone grafting. 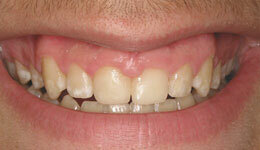 In this case, the All-on-4™ procedure is recommended to replace the missing teeth. All-on-4™ is an innovative and technologically-advanced graftless treatment procedure that provides patients with a fixed full-arch restoration with just four implants. Bone grafting is not needed for this procedure because the posterior implants are inserted at an angle, utilizing the available bone. All-on-4™ helps restore the jaw bone and prevents further deterioration of facial features associated with teeth loss. 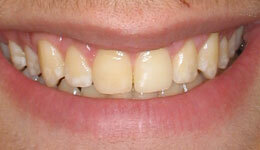 It provides you with a full-functioning, long-lasting smile in just one dental visit. We would be happy to further discuss the benefits of dental implants during your complimentary appointment. We strive to customize every treatment plan to one’s wants, needs, and budget. To schedule an appointment with one of our talented NY dentists, please call us (212) 581-1091 or email us at rockcdoffice@gmail.com.